Lyle Gatley grew up in the Marpole area of Vancouver. Lyle notes that “In those days, it was not uncommon to arrive at the local park after dinner to play what ever sport was in season with as many as 30 other local boys. It was a wonderful time.” Those of us who remember that era would agree. A middle distance runner in high school, Lyle was the co-holder of a Junior Mile relay title that was not broken for eight years. He also belonged to a unique Synchronized Rope Climbing Club at Winston Churchill Secondary School which toured the province. In his final undergraduate year at UBC, Lyle became involved in rowing. He explains “I had no idea what that was until a friend of my older brother told me that if I could survive the workouts, I might make it to the Olympics.” In October 1968, Lyle was competing in the Olympic pairs rowing event in Mexico City. He and his partner Jack Ulinder finished 13th. Lyle began his career as an educator with a teaching job at Vancouver Technical School. After six years he moved to Delta, with his wife Donna, to teach at South Delta Secondary School. Lyle and Donna have lived in Ladner for 41 years. For many of those years Lyle coached volleyball at SDSS. 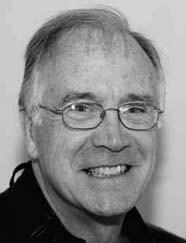 Retiring in 2001, Lyle has been on faculty at the University of BC as an Instructor and Faculty Advisor. In 1986, Lyle assisted Bill McKerlich (an Olympic rower) in organizing the first-ever regatta on the Deas Slough. Delta was introduced to the sport of rowing. On December 3, 1986, Lyle co-founded the Delta Deas Rowing Club (DDRC) with Bill McKerlich and Joy Fera. The first crew was a group of boys from South Delta Secondary coached by Murray Johnston in a borrowed “four”. The following year, Lyle coached the first girls crew in an “eight” purchased by Stan Thomas. Things took off! Lyle recalls “Now that we had two boats, we needed a boathouse. I began construction with the help of my woodwork students at SDSS. The boathouse was ready for our first regatta in the spring of 1988.” The DDRC has grown from the original high school program to include collegiate rowing and masters rowing. Club membership is around 150 and the club now has considerable rowing shells and equipment. The original boathouse eventually became too small. Over the past ten years, Lyle has overseen the construction of an open storage shed built by a local contractor in 2008. Lyle has remained active as a competitive rower for the past twenty years, finishing fifth as a master rower at the 2005 World Masters Games. In March of 2007, Lyle was the recipient of the Volunteer Sport Administration Award from Rowing BC. The Rowing community in Delta and the Province of BC owe a considerable debt to Lyle. He explains his motivation in this way “I consider myself very fortunate to have had the opportunity to represent Canada at the 1968 Olympics, and it was my wish in 1986 to give back to my sport by starting Junior Rowing in Delta. It has been my pleasure to have been involved.” His induction into the Delta Sports Hall of Fame is symbolic of letting Lyle know that Delta citizens value those who assume the responsibility for community initiatives.